The EP is a wonderful way to tide fans over between full album releases. Yukon Blonde are doing just that with their new 4-song EP, Fire/Water. It's a short but sweet effort for the Kelowna-natives as they create their typical blend of folk rock and pop. The vocal harmonies are startlingly crisp on the lead track "Fire". They may even improve with the addition of an even sharper hook on "School Kids". These are the kinds of songs that will keep you warm through a long, harsh Canadian winter night. Get the fire roaring and put this one on repeat. 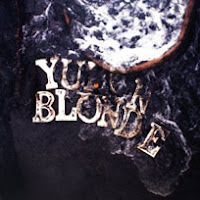 Yukon Blonde play Lee's Palace in Toronto tonight.